I repotted it into a slightly larger pot in ericaceous compost and not allowed it to dry out. I dont have any rainwater though and my water is very alkaline. I do have a white one in the ground that flowers despite my alkaline soil and water - i just mixed in a lot of ericaceous compost and give it a regular acid feed. Would giving it a feed nudge it into flowering or do I just need to be patient? Hi folks, any advice on my Camelia? Still no movement! As long as the buds haven't withered or died, they might open in their own time. Possibly it's still settling into its new home. I think the time to feed it is in the summer when next year's flower buds are forming. Do you know what kind it is Nollie? This site, read where it says codes and the paragraph underneath it. It says. They vary in flowering times from winter into spring. "Some varieties flower in OCT-NOV, others go on from JAN-MAY." We have a red one no idea which it is, but it feels like it sits in bud for months. It still is and not flowered yet. Found this online. Winter series, bred by some one.. Ackerman. No Winter Queen, but maybe a channel to go down, a new addition? Patience. There's a lovely big mature red camellia round the corner that's been in flower since the NY. My small version in a pot in a sheltered spot has only just started. Try and find some sequestered iron to use when watering yours. Oh, thanks Jenny, I will lay off the feed and watch and wait! Rubytoo, it was labelled as ‘winter queen’ but nothing else, so its a bit of a mystery. You could be right, it may be a new additon to that series, or maybe it was a typo! Yes I see what you mean, they do call them Queen of Winter, so a common general term rather than proper name variety. Happened to me recently when I bought a heuchera and thought it had a proper label.... Not quite so culturally sensitive as your camellia, but annoying. Hope it comes good for you. Fingers crossed, rubytoo. It was odd because the other camelias they had on sale had different cultivar names in the same place and typeface, but I have searched loads of websites and specialist camelia growers but not a one called ‘Winter Queen’. 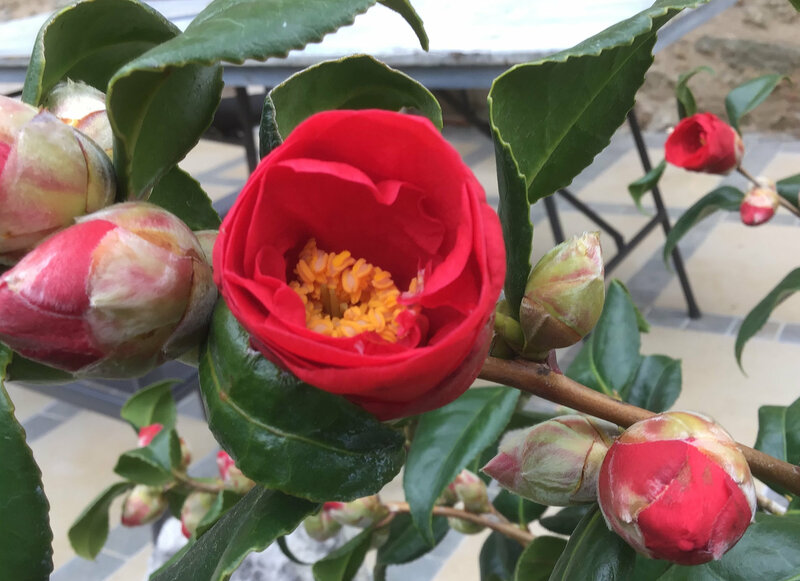 I have 6 different very mature Camellias. 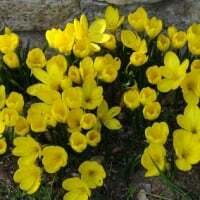 The first one usually starts flowering in December and all the others follow at intervals extending to springtime. However, this year my first to flower didn't flower until January and all the others are late too. I suspect it has something to do with the very hot summer we had. If yours still has buds they still have time to open.